Pokémon Go – it seems to be all that we are hearing about now! And it’s not only Pokémon that are being caught due to this phenomenon, it’s a revolutionary way to reach out to your customers. Firstly, let’s think about what Pokémon GO is and why it has become so incredibly successful. If you were to tell anyone a month ago that there would be millions of people walking around the streets throwing virtual capture devices trying to catch virtual animals, then I’m fairly sure you wouldn’t have been believed. But Niantic, the developer and publisher of Pokémon GO struck the perfect combination. They have combined the nostalgia of a classic game and re-incarnated it using modern day technology. But the key here is the way they’ve done it, they’ve infused the gameplay of classic Pokémon games with cutting-edge augmented reality (AR) and have, metaphorically speaking, struck gold. Released to the US, Australia and New Zealand markets on the Wednesday 6th July then 8 days later in the UK, there has been an estimated 30 million downloads making it more popular than the well-known dating app Tinder . As tempting as it is, I’ll avoid drawing humorous parallels in gameplay of swiping to catch rare fictional animals. With accurate mapping data provided by Google, the game-play is simple but unbelievably captivating. You take control of an avatar and as you physically move around in the real-world, you encounter these elusive Pokémon. You then throw a virtual Poké Ball in an attempt to capture it. From there you train your Pokémon and can even challenge other rival Pokémon at Pokémon Gyms which are identified on your AR map. 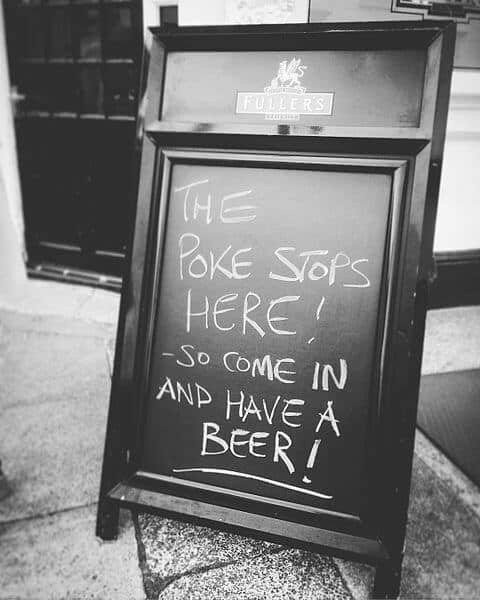 During your adventures you will pass Poké Stops, and this is where it gets interesting from a marketing and advertising point of view. Now, why is that interesting? Why should we take notice of virtual pins dropped on a map? Primarily Poké Stops offer players a chance to place lures to aid them in catching wild Pokémon but players are also encouraged to visit them to collect items and increase experience. This can often result in a large influx of fellow players congregating at these virtual pin-drops in the hope that they too can catch and expand their Pokédex. As I mentioned earlier, the mapping data is provided by Google and this means that the Poké Stops can be landmarks, points of interest and even local businesses. Now picture this; you run a local business, and for this example you run a bar and it’s the height of summer. Your goal right now is to drive footfall in to your bar, correct? In the game, your business is listed as a Poké Stop and a player has dropped a lure and all of a sudden you have dozens of players hanging outside your business. If you can capitalise on opportunity with some simple and effective marketing, then you can bring those players in! For instance, posting on social media that your bar has become infested Pokémon and offering a discount on drinks if the customer shows you a screenshot of them catching a Pokémon would undoubtedly see an instant increase in your trade. This is a relatively basic example of how the power of social phenomena can be harnessed by you and your business to increase your brand awareness from relatively little spend, but if you catch the trend and jump on certain virtual band-wagons then you really could be catching ‘em all. 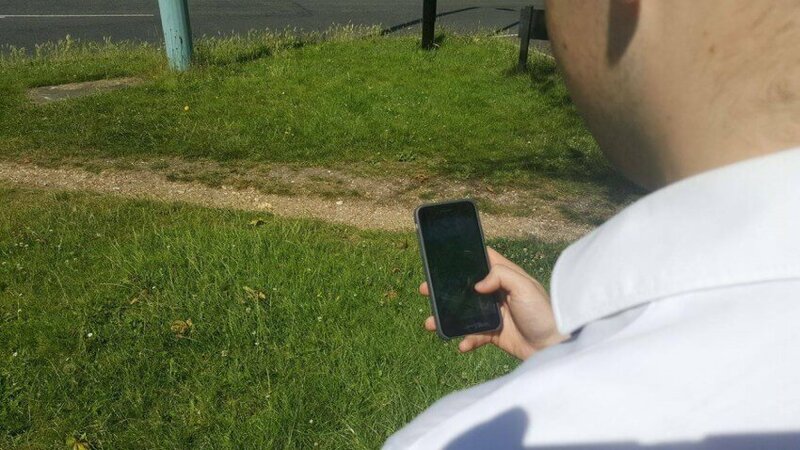 Aside from this new dimension and the benefits that Pokémon GO could bring to your business, we find it equally fascinating that there are people of all ages getting out there and exploring their local areas, all because of a mobile game! As a society, we normally associate gaming with staying indoors and locking yourself in from the outside world, could Pokémon GO be the spark that ignites a new generation of mobile gaming? We don’t know the answer to that question but if, like us, you are completely obsessed with capturing as many Pokémon as you can every second that you’re walking around then make sure that you’re aware of your surroundings! Don’t be that person who gets lost in a cave trying to find the elusive Mew.